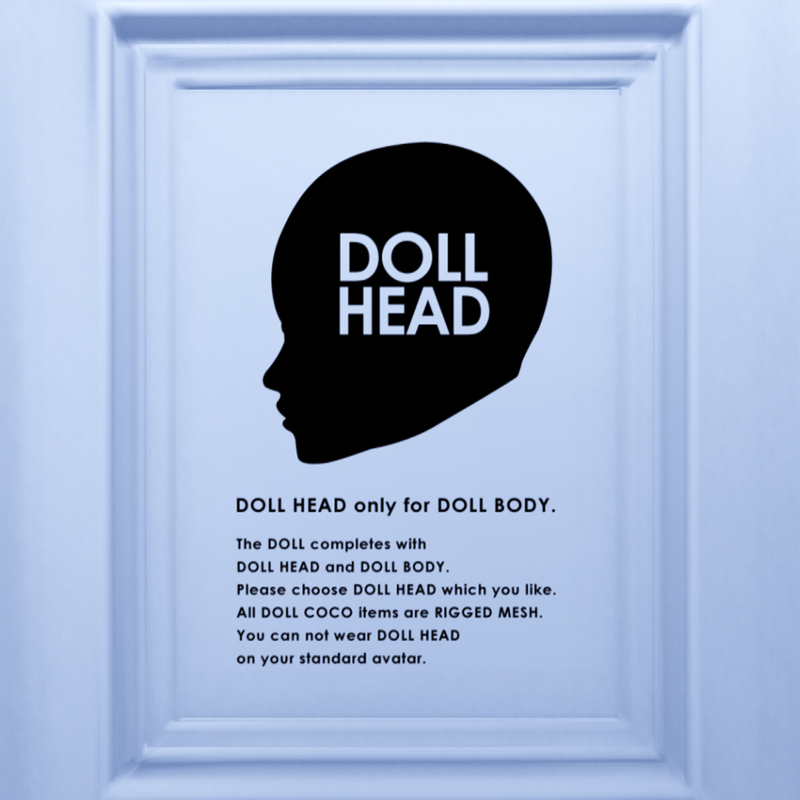 Thank you for your interest in DOLL COCO. 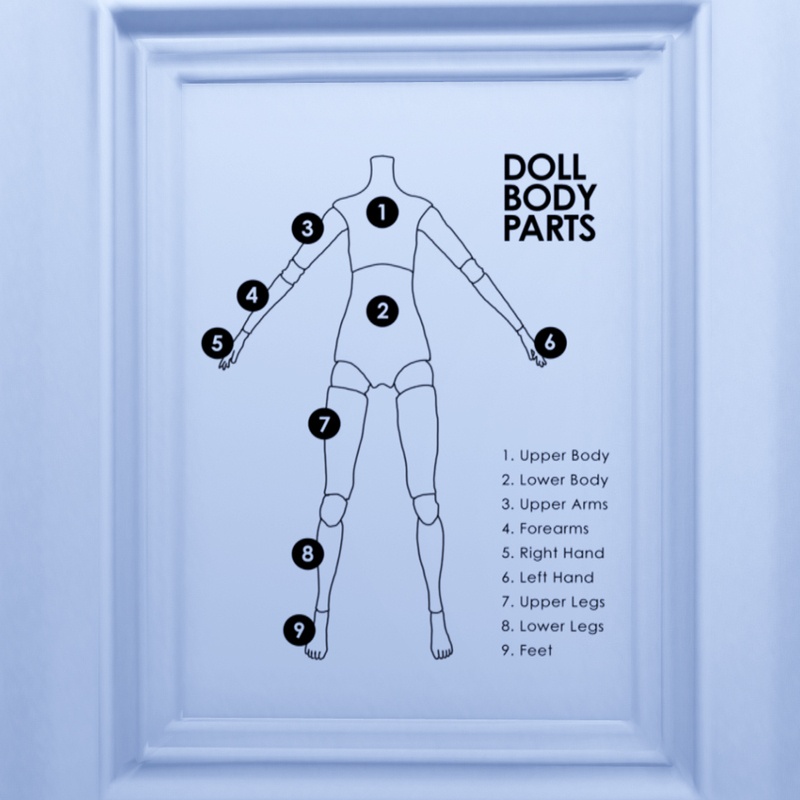 All items are only for DOLL. Now the demos are available. (no purchasing) Please visit here to get demos! 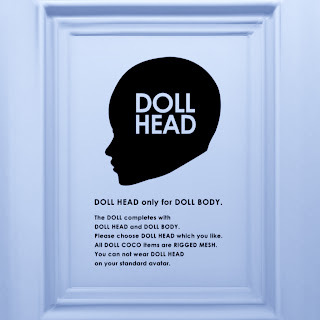 DOLL BODY is only for DOLL HEAD. It is composed with 9 body parts separately as follows. The HEAD is RIGGED MESH. You can not wear DOLL HEAD on your standard avatar.